make a large silver ball float or do surprising magic with invisible objects. It’s crazy clean comedy magic. The MSU campus organization was having a welcome back party and the magic and comedy had them going. The show received very positive reviews. Awesome, amazing and great show were the most common comments. The organizer, Fahad, said that they will invite me to another student function soon. Thank you, Fahad and your team for inviting me, and I look forward to visiting again. David Copperfield is one of my favorite magicians. I have enjoyed seeing his stage show several times. He is dynamic and really amazes his audience. I enjoyed his close-up magic performed on stage with a camera on his hands and projected onto a large screen. The audience was blown away by his magic. Later in the show he jumped into the air and floated then soared up and all over the stage. Incredible! I enjoyed several of his TV shows over the years. The statue of Liberty disappearing was one of the most famous and is still talked about over 20 years later! I found on the International Brotherhood of Magicians website the following information. He has been nominated 35 times for Emmy Awards and has won 21 times. The Guinness Book of World Records has calculated that he has sold more tickets in his career than any other solo entertainer. Other Guinness World Records held by Copperfield include being the most awarded magician in history and being the first living magician to receive a star on the Hollywood ‘Walk of Fame’. David Copperfield has a French knighthood, received the Living Legend Award from the Library of Congress and appears on postage stamps in 6 countries. He is the founder of The International Museum and Library of the Conjuring Arts, the largest museum of its kind. He starred in “Dreams and Nightmares,” the Broadway show that set box-office records Wikipedia-Info, including the most tickets sold in a week. 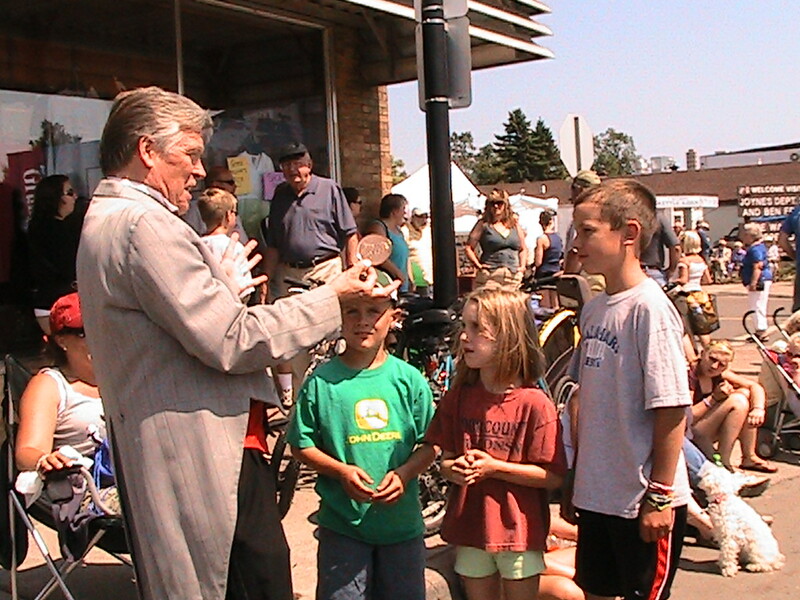 He has appeared in Las Vegas many times and tours through Minnesota with his magic show every so often. Don’t miss it. 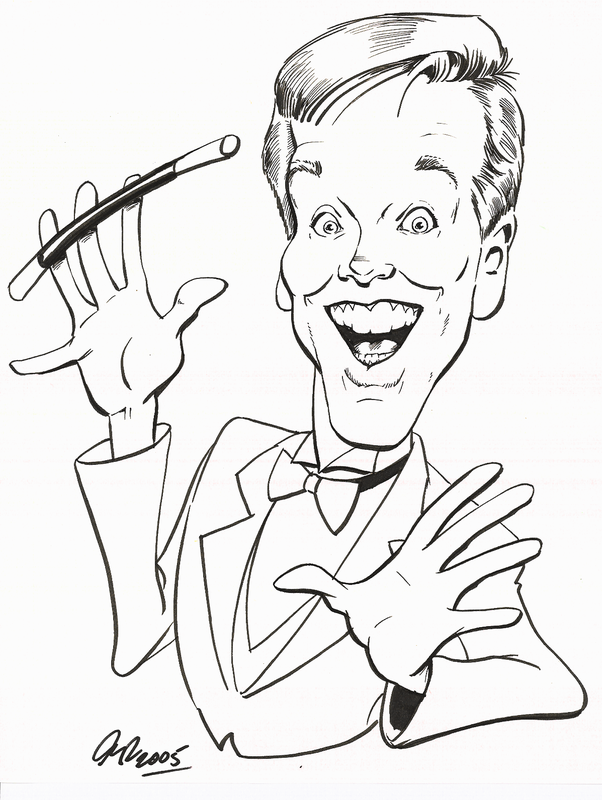 If you need a Magician in Minnesota for your company banquet, festival or family party check: MagicNorm.com . Please check it out and learn about the corporate magic show I present. 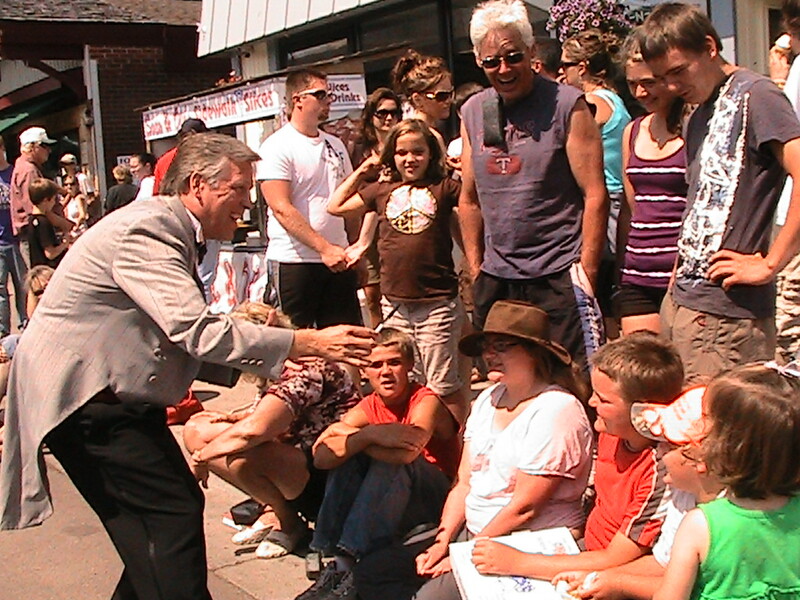 Comedy Magician Norm Entertains families before the big Fisherman’s Picnic Parade in Grand Marais, MN. 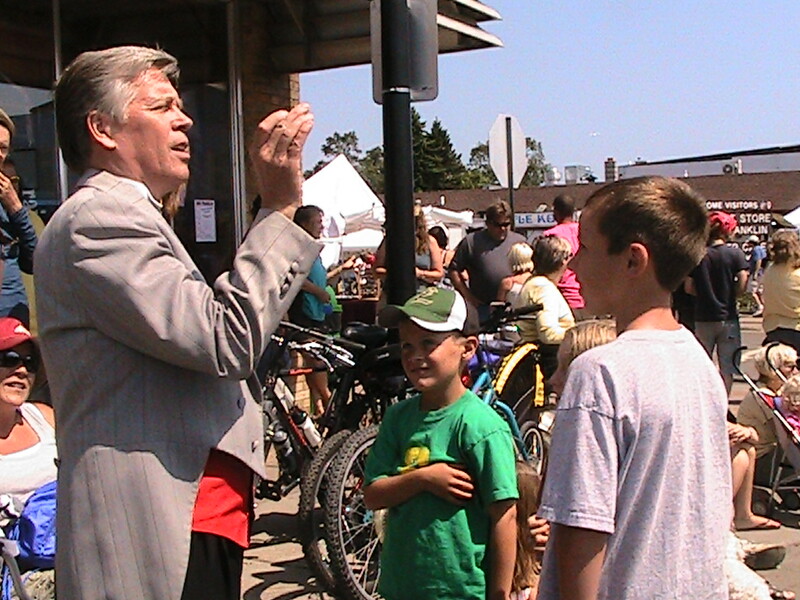 Magic brings fun to any event… check out MagicNorm.com for more on a Professional Magician in Minnesota. There are many locations that host lovely parties and once your group’s size is established you can look for a meeting room that is ideal. Event centers, ballrooms, hotels and restaurants offer meeting rooms and dinners at a wide range of costs. Figure $12-$15 for lower priced menus and $18-$28 for fine dining. Of course you can also find many places that will give you a superb dinner and atmosphere for much more. The #1 key to a wonderful event is bringing in an after dinner entertainer that grabs your audience’s attention and brings them together. This is the expertise of a comedy entertainer who skillfully works the room. Discovering a great entertainer for your event is your challenge and can be a daunting task. The rest of this article will present many suggestions that will help give your event a very strong and positive outcome. Astonishing as it may be there are books found in a library. Well yes, and even my books. 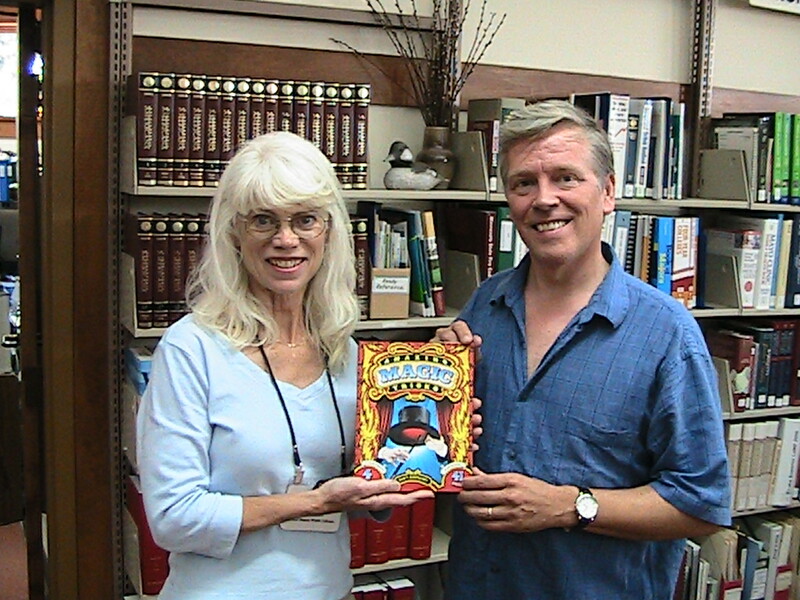 I stopped at the Grand Marais Library to donate one of my books and discovered that they did have one other book of mine there as well as two of the DVD’s I produced that teach magic. Cool! People I know all over the US have called to say they found the books in their library too> the Amazing Magic Books can be found at Amazon.com and Target.com.